Outdoor rooftop pool with a view, where kids under 12 eat free, one block from the Air and Space Museum – this combination is hard to beat. The on-site deli provides quick meals and snacks, and there are guest laundry facilities. The Mall is an easy two-block walk from here, and when visitors are not exploring Smithsonian museums, they can enjoy the amenities and fine river views here. There are little TVs in the bathrooms, and an indoor pool. The hotel is also pet friendly. All the friendly Red Roof family extras: kids can rent video games for in-room play; the TV cable service includes the Cartoon, Discovery, and Learning channels; snack centers relieve the munchies. The beautifully landscaped and resort-like hotel surrounds the big outdoor pool. There is in-room dining and movies. Two blocks from the White House, the location minimizes walking distances for little feet. Child care offered by pre-arrangement. 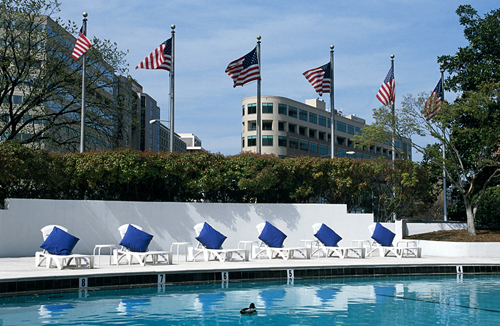 Convenient to the National Zoo , this hotel provides extra guest-room space and good services. The outdoor pool is safe and fun. Free cookies in the lobby every afternoon. This downtown hotel has recently added in-room Nintendo game consoles, which, added to the rooftop pool and cable TV and in-room movies, make a pretty complete package for children. Some oversized rooms available. Both Dupont Circle and McPherson Square Metro stops are within walking distance. The whimsical decorations will appeal to urban-oriented kids. In-room movies, treasure chests, sight-seeing books, and pay-to-play Nintendo are offered. This excellent Georgetown location provides separate living rooms, two TVs, high speed internet, and a fully equipped kitchen including a dishwasher. Continental breakfast is served. Pets are allowed. Outside the city center, located directly at the Ballston Metro Center. Suburban shopping and activities are convenient by car and Metro from here. A reservation service specializing in B&Bs in and around the city. It lists some of the most attractive properties. Staff personally inspect guesthouses on a regular basis. This beautiful little inn is a half block from Dupont Circle, and its guests partake of the myriad of restaurants, shops, movie theaters, and art galleries in the neighborhood. The interesting building, with high ceilings and a walled garden, dates from 1855 and once was owned by astrologer Jeanne Dixon. Lavishly decorated, this inn offers a variety of themed rooms, including a two-story log cabin motif and several Art Deco stylings. The layout is so striking that guests often treat the house as a sight in itself. 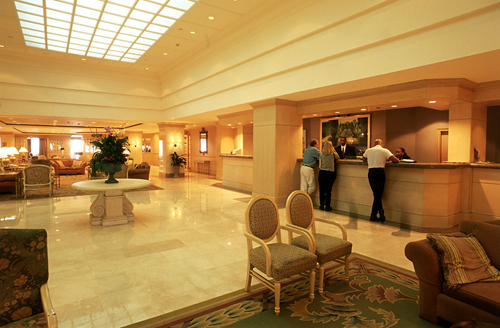 Rooms have up-to-date business services with private phone lines. This charming Victorian townhouse offers six comfortable guest rooms and a one-bed apartment. The individually decorated bedrooms are furnished with antiques, and are regularly renovated. This handsome and elegantly restored 19th-century townhouse offers over-sized rooms. The smoke-free guestrooms feature antiques, cable TV, and Internet access. Sometimes described as the best B&B in the city, this charming establishment provides modern conveniences along with personal attention. All rooms have private baths and cable TV. This classic Victorian mansion, lovingly restored and maintained, is happy to welcome children. Famous for its Christmas decorations. Breakfast – far more elaborate than just “continental” – is served in an elegant dining room. This literary themed B&B is located within walking distance of the White House. 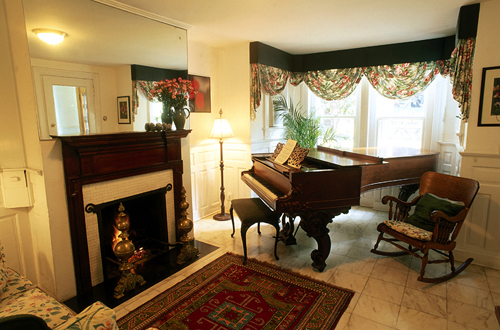 The historic townhouse has eight en-suite rooms, featuring premium linens, cable TV, and CD players. Some rooms have a private balcony, Jacuzzi tub, and a decorative fireplace. Hosted by Aiko Ichimura, this captivating B&B is warmly furnished with Japanese influences. TV/VCR is provided. You can expect personalized service, beautiful decor, and one of the best breakfasts in DC at this historic 1876 mansion-turned-B&B. The inn also boasts a remarkable art collection and business-friendly amenities like wireless Internet.